Wine conditioning sweetens dry wines and reduces a wine’s aging time. Add ¼ – ½ cup to 20L or 23L of finished wine. 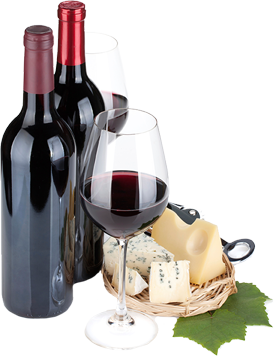 Wine conditioner does not necessarily have to be added to wine prior to bottling; it can also be added when one is ready to serve the wine. Traditionally, the only way a wine would ever pick up wood character was through contact in an oak barrel or tank. Have you checked the price of an oak barrel lately? The price of French oak barrels (selling for about $800) and American oak barrels (selling for about half that price) is enough to scare any winemaker into searching for ways to get the desired levels of oak in their wines without having to go into debt. On the more traditional side of the oak-use issue are those heavily financed small production vintners that believe the best coopered French or American oak barrel is the only way to go, while other more economically minded folks, wishing to maintain the oak advantage, are switching to what is variously called oak alternatives, oak replacements or oak options. For the uninitiated, oak alternatives are practically anything in oak that is not coopered. The basic choices include Oak Powder, Liquid Oak, French or American Oak Chips, French or American Oak Chunks and now Hungarian Oak Cubes. The wide assortment is innovative and each item has its own application. You might say that for nearly every wine there is an oak alternative and, although most of the applications are for red wines, oak alternatives are also used for white wines, especially the ever popular Chardonnay. But for the initiated, when applied to certain wines, whether you use an oak barrel or an oak alternative, the quality of oak is the same but the cost is not. “Oak alternatives are all about economics”. Also known as the counterpart of Blanc de Noirs, Blanc de Blancs produces wines that are dry and crisp. These wines also contain flavours of lemon, apple, pear and pineapple. Because of its bright, fruity and crisp flavour, this wine will maintain its freshness and its refined finish even after many years of age. Optional: In Store Winemaking Price $90.00 + tax. Traditional Food Pairings: Because of its magnificent characteristics, Blanc de Blancs is famous for pairing with fresh seafood, light poultry, cheese and a variety of vegetables. In addition, Blanc de Blancs is the perfect wine to be enjoyed on its own as an aperitif. Blush Vintage White creates wines that are blush-pink in colour with hints of berries and floral aromas. Its many characteristics give this wine a sweet, fruity balance. Lastly, this variety has a balanced acidity, making it a lighter wine. Wine Conditioner Optional. Optional: In Store Winemaking Price $98.00 + tax. Traditional Food Pairings: Although Blush Vintage White can be enjoyed on its own, it is preferably paired with many different foods like pork chops, rice and desserts consisting of fruits and cream. Blush Chardonnay is known as the pink-berried mutation of the original Chardonnay grape. This grape creates wines that have strong aromas with tropical fruit, melon, citrus and green apple flavours. Wine Conditioner Optional. Traditional Food Pairings: Blush Chardonnay is very much enjoyed with many types of seafood. More specifically, Blush Chardonnay matches particularly well with trout, perch and salmon tartare. Get in the pink with this fresh, fashionable and upper trendy Cabernet Rosé. Elegant, salmon pink hues, with deep ample aromas of watermelon, fresh cherries, strawberry and black current. Vibrant and tasty, this crisp and summery wine is truly perfect! Optional: In Store Winemaking Price $100.00 + tax. Traditional Food Pairings: Poached salmon, vegetable terrine and honey glazed chicken. California White produces dry, rich, honeyed wines with poise, elegance and balance. As a result, California White is known for its aromatic, leafy bouquet. This wine is smooth and has many citrus flavours, making it unquestionably the finest dry white wine in the world! Because it is clean in taste, California White is best enjoyed when it is young. Optional: In Store Winemaking Price $94.00 + tax. Traditional Food Pairings: California White is perfect for grilled or barbequed chicken and is especially suitable for most white meats. This expressive wine is blended from two noble grape varieties. The Chardonnay offers the tropical fruit and honey aroma combined with a Chenin Blanc which contributes delicate crisp fruit flavours, creating a well-balanced and elegant wine. A spring fresh mouthful of wine with melon flavours. Chenin Blanc produces wines purely from its grapes, creating a unique, slightly fruity flavour. Considered a personal wine, Chenin Blanc can be enjoyed during its youth. Through aging, however, Chenin Blanc is known for producing flavours of apple, honey and almonds. Optional: In Store Winemaking Price $83.00 + tax. Traditional Food Pairings: Although it makes the perfect aperitif, Chenin Blanc can be easily partnered with fish, white meats and medium cheeses. The fruity flavours of the Colombard combined with the roundness of Chardonnay results in this well balanced wine, making this a lovely wine to drink on its own. Optional: In Store Winemaking Price $104.00 + tax. Traditional Food Pairings: Grilled chicken or other straightforward fare, Chinese Food, grilled vegetables, salads and spicy foods. Devant Les Mers, considered a soft white wine, is dry and crisp with a clean finish. Also, Devant Les Mers creates wines that are delicate and aromatic in nature. In addition, it is well liked by most winemakers for its leafy bouquet and its beautiful taste during its youth. Traditional Food Pairings: Devant Les Mers is known to go with most foods. Although this is true, Devant Les Mers matches particularly well with fish, ham and pasta with seafood. French Colombard is traditionally well known for being a good blending variety. This type of grape is acidic, crisp and very fragrant when it is young. Lastly, French Colombard is full of fresh fruit aromas with a lot of character and complexity. Optional: In Store Winemaking Price $82.00 + tax. Traditional Food Pairings: Because of its amazing character, French Colombard matches well with poultry and fish. Fumé Blanc is usually blended with Sauvignon Blanc and has a smokey, yet rich character and flavour. Although it maintains a crisp aroma, a touch of oakiness gives Fumé Blanc a better character. For better aging quality, additional oaking may enhance this effect. Oak Aging Recommended. Traditional Food Pairings: Occasionally, Fumé Blanc can be complemented by many foods such as salads, light seafood, ripe cheese, pasta with cream sauce and shellfish. Gewurztraminer, originally found in Alsace, is known for its aromatic wines, reminiscent of rose petals, cloves and lychee fruit. Gewurztraminer is also recognized for producing a range of full-bodied, dry wines and elegant dessert wines. Its natural acidity adds a touch of spiciness to its wine, allowing it to have a much more interesting flavour. Also, Gewurztraminer has a remaining rich and soft character whether it finishes dry or off-dry. Wine Conditioner Optional. Optional: In Store Winemaking Price $93.00 + tax. Traditional Food Pairings: Though Gewurztraminer can be enjoyed on its own, it is usually well liked with chicken, duck, chicken, liver pâté, smoked fish, Chinese and South-East Asian food. Impressively, this wine has youthful aromas of ripe cherries and hints of delicate spice. The Grenache Rosé is soft and generous on the palate, with slight tannins from the wine’s short time on the skins. This Rosé is a perfect food wine, which should be enjoyed young and vibrant and is best served chilled. Optional: In Store Winemaking Price $95.00 + tax. Traditional Food Pairings: The perfect accompaniment to dishes such as lobster, antipasto platters and Asian foods. House White is extremely hard to resist because of its excellent characteristics and ability to enchant most drinkers. This grape creates wines that are dry and light. Also, most winemakers prefer House White because it is a less intense version of most white wines. Optional: In Store Winemaking Price $73.00 + tax. Traditional Food Pairings: Because of its irresistible taste, House White is preferably enjoyed with grilled seafood, smoked salmon, chicken, pasta, salad and fruit. House Rosé produces wines that are known for their aromatic characteristics and natural flavours. This variety consists of many fruit flavours as well as vanilla and citrus mixes. House Rosé is a grape that can create wines that are not too sweet and not too dry. Lastly, this variety can be consumed young or after a little bit of aging. Traditional Food Pairings: Because of its ability to pair well with most foods, House Rosé can be enjoyed with seafood, pasta, pizza and salad. A German style, Liebfraumilch is known for creating wines that are light in colour and soft on the palate. Liebfraumilch usually finishes dry or off-dry and is mostly enjoyed when it is young. To accomplish a much more delightful flavour and a more interesting wine, Liebfraumilch should be chilled before being served. Wine Conditioner Optional. Traditional Food Pairings: Liebfraumilch can simply be paired with seafood, veal and most fruit. Moselle is known to have a fine scent and a very soft colour. Also, this variety is known for its light, delicate flavour that flows straight to the palate. Because it goes perfectly with light foods, Moselle is known for being an excellent wine for all occasions. Traditional Food Pairings: With Moselle’s delicate flavours, it can be complemented with the help of certain light foods such as veal, seafood, mild cheeses and fruit. Muscat is known to create wines that are fresh and have a nice fragrance. In its youth, Muscat always tastes like rose petals spiked with orange blossom. This flavour helps to balance the wine’s low acidity. When Muscat is aged, it occasionally has a different taste of figs, coffee and prunes. Finally, Muscat is known for producing very fruity, sweet wines with a delightful aroma. Optional: In Store Winemaking Price $77.00 + tax. Traditional Food Pairings: Muscat can easily be matched with spicy food like Thai or Indian food. Sweeter types of Muscat can also pair well with most desserts like vanilla ice cream. Palomino is known for creating slightly salty, dry wines. Also, Palomino has a velvety finish and is definitely full of flavour. Because of its long maturing process, Palomino is occasionally served as an after dinner drink. Optional: In Store Winemaking Price $74.00 + tax. Traditional Food Pairings: Because Palomino is a very versatile and refreshing white wine, it can easily pair with the majority of Mediterranean dishes, including grilled seafood and Spanish olives. Piesporter is the most famous wine in the Mosel valley. This variety produces an off-dry, racy wine with grapy fruit flavours. Also, Piesporter is well known for its clean, fresh flavour and for its delicate style. Lastly, Piesporter creates wines that are light in alcohol compared to other wines. Traditional Food Pairings: Piesporter is famous for being able to pair itself with fruit, seafood, ham and veal. Pinot Bianco is not the star grape but it is grown widely enough. Never playing the leading role, Pinot Bianco produces excellent wine. This variety produces wines that are mutations of Pinot Gris which, itself, is a form of Pinot Noir. Therefore, it is said that Pinot Bianco is a less intense, milder version of Chardonnay. Pinot Blanc, also known as Pinot Bianco in Italy, produces soft wines with aromas of apple, apricot and honey. Traditional Food Pairings: Pinot Bianco is well known for pairing with light soups, cold cuts, certain seafood, salads and white meats. A full-bodied wine, Pinot Chardonnay is clean and crisp with a straw / gold colour. Also, this grape variety creates wines that have a bouquet of apples and pears. Lastly, Pinot Chardonnay is known to be high in natural acidity with a fresh flavour. Oak Aging Recommended. Traditional Food Pairings: A social or food wine, Pinot Chardonnay pairs excellently with oysters, chicken, veal, vegetables and mild cheeses. Someone would like a pink version of Pinot Grigio by leaving the skins in the juice for a number of hours after pressing. Since Pinot Grigio is more of a white grape than a red grape, the resulting colour is delicate. The aroma is nicely yeasty and fresh. The wine is floral in the mouth with a fairly crisp finish and a hint of sweetness that’s meant to convert drinkers of White Zinfandel to Pinot Grigio. Traditional Food Pairings: Ideally suited to sushi, shellfish, salmon, chicken and all types of Asian cuisine. Pinot Grigio is especially famous for producing rich honeyed wines with nut flavours. Though Pinot Grigio is famous for its touch of honey, it is also known for having many different characteristics. More specifically, this grape can create wines with spicy, musky, exotic flavours. Although this is true, Pinot Grigio can also create a less intense, spicier wine. Furthermore, many fruit flavours can be found in Pinot Grigio, including apples, pears and mangos. Traditional Food Pairings: Pinot Grigio is the ultimate white wine to pair well with delicately flavoured seafood such as poached filet of sole. Because of its flavoursome, spicy attributes, Pinot Grigio can be served with many different types of cheeses. Interestingly enough, this wine can be enjoyed on its own as an aperitif. Blends are becoming increasingly popular with wine drinkers. 60% Chardonnay and 40% Pinot Grigio blend produces a smooth dry taste with the crispness of Pinot Grigio and the softness of Chardonnay. A Spring fresh mouthful of wine with melon flavours. Traditional Food Pairings: Seafood, luncheon salad on the patio. This light, bright pink wine delivers a surprising concentration of flavours and aromas. The dramatic nose yields up intense strawberry, cherry fruit aromas as well as a subtle hint of both ripe strawberry, cherry and pomegranate, giving the wine a perception of sweetness without sugar. Traditional Food Pairings: Pinot Noir Rosé goes well with barbeque, smoked meats and fruit based salads or on its own as the perfect sipping wine for a hot day, or simply in front of the fireplace. Premium White is known for producing wines that are crisp, fresh and fruity. Delicate on the palate, Premium White has a clean bouquet with fresh flavours of lemons and limes. Traditional Food Pairings: With its fresh and fruity flavours, Premium White can be complemented by any kind of shellfish and certain cheeses. Riesling is said to have come from the Rhine Valley in Germany. While it is a versatile and food-friendly grape, Riesling is not as popular as it deserves to be. This is unfortunate because Resling is one of the world’s greatest white wines. Furthermore, Riesling is known for having a smoky, earthy or flowery tang. Also, peaches, apples and spicy flavours are common in the outcome of certain wines made by this variety. Riesling can produce crisp, dry, austere wines as well as rich, luscious, sweet dessert wines. Keeping Riesling aged in bottles also helps to enhance the taste over a period of time. Wine Conditioner Optional. Optional: In Store Winemaking Price $87.00 + tax. Traditional Food Pairings: Riesling can match perfectly with trout or smoked fish pâté. In addition, Riesling is a food-friendly wine, meaning that it can also be combined with spicy chicken dishes and certain salads. Riesling/Traminer, made from two famous German wines, is a fresh blend of Riesling’s crispness and the exotic spiciness of Gewurztraminer. This combination produces an elegant, well-balanced wine. In the end, this varietal produces wines that are dry with peach, apricot and nutmeg aromas. Wine Conditioner Optional. Traditional Food Pairings: Because of its greatly enjoyed taste and aroma, Riesling/Traminer is excellent when it is complimented by many different types of seafood. Ruisseau Blanc is traditionally made from Chardonnay. This variety produces a subtle, oaked, medium-bodied wine with clean characteristics. Lastly, Ruisseau Blanc produces wines with a crisp finish. Traditional Food Pairings: Ruisseau Blanc can easily pair with mild cheeses, fresh shellfish, poultry and roasted pork. Sauvignon Blanc, often called the most useful grape variety, is known for its youthful freshness and high acidity. When made into wine, this grape is unrestrained, even nervy. It can be aggressively aromatic but it is not for everyone; it appeals to those who like zingy white wines. Sauvignon Blanc’s greatest feature is its high acidity. This makes it a great aperitif wine – much better than Chardonnay, in fact. Winemakers rarely give Sauvignon Blanc an oak treatment. Instead, they highlight its naturally aromatic characteristics. This variety creates wines with the taste of gooseberries, green peppers, passion fruit and kiwi. The taste of lime and blackcurrant leaves can also be found in Sauvignon Blanc, giving it a truly refreshing finish. Traditional Food Pairings: Sauvignon Blanc is occasionally complimented by many rich fish dishes and different types of seafood. This wine particularly matches well with dishes containing tomatoes. Sémillon was thought to have been originated in Galet and spread to St. Émilion throughout the eighteenth century. Sémillon is blended with Sauvignon Blanc to make very good, dry white wines that are known by many for their strong, fruity flavour during their youth. When slightly aged, however, Sémillon gains a less intense fruitiness. Finally, Sémillon has aromas reminiscent of pineapples, peaches, nuts and honey. Traditional Food Pairings: Sémillon is known for pairing better with meat than with fish. Although this is true, shellfish often make an excellent match with this type of wine. Also, Sémillon is often enjoyed with certain puddings and many different cheeses. This Sémillon/Chardonnay combines the unique characteristics of two classic varietals into a rich harmonious wine. The Sémillon displays lively citrus and tropical fruit while the Chardonnay emphasizes tiers of ripe apple, pear, and vanilla notes. Traditional Food Pairings: Grilled seafood, salmon, roast chicken or create your own pairing with your own favourite foods. Sémillon and Sauvignon Blanc complement each other to make an excellent partnership, which is clearly evident in this wine. This wine displays the subtle Sémillon bouquet mingled with the fragrant, fruity Sauvignon Blanc characteristics. It has fresh, lively aromas of tropical fruit and passion fruit. This wine should be enjoyed in its youth. Traditional Food Pairings: This wine is delicious with freshly shucked oysters simply dressed with a squeeze of lime juice. Can also be enjoyed with, chicken and feta tostadas. Soave is known for having a gentle acidity as well as a straw yellow or green colour in its appearance. Soave is a bone-dry white wine that generally does not offend. It is made from the Garganega grape with some Trebbiano thrown into the blend. Chardonnay and Pinot Bianco are also used in the blend at times. This variety creates wines that are light and generally flowery. In addition, this wine produces almond and honey flavours, along with a lemony finish. Traditional Food Pairings: Soave style can be compatible with many types of appetizers, soups, vegetables, rice dishes and pasta. Lastly, Soave can also be enjoyed on its own as an aperitif. You and your guests are sure to love this wine. The Syrah Rosé is pink in colour, but dry in taste. The wine displays aromas of strawberry, candied watermelon and honeydew melon. The accompaniment to a wide range of flavours. This is a perfect summertime wine at the beach or on a picnic, as by a winter fire or winter party. Traditional Food Pairings: An especially stunning partner for seafood risotto, or roast rabbit, grilled meats, pasta, and full flavoured cheeses. A good quality grape, Thompson is known for producing wines that are yellow-coloured and well-scented. It is also said that Thompson is subtly reminiscent of the original Chardonnay. Thompson, the most famous grape in California, creates smooth wines with incredible flavours instead of wines with sweet and tangy textures and aromas. Trebbiano is Italy’s most popular blending grape used in white wine production, including Orvieto and Soave. This white grape is well known for producing wines that have high acidity and neutral flavours. Aside from this, Trebbiano can also produce wines with crisp, light and refreshing flavours. Occasionally, this variety can create wines with signs of leafy fruit flavours and waxy depths. Trebbiano is the base wine used to make Cognac and Armagnac. Traditional Food Pairings: Because it is the backbone of many Italian wines, it is the best wine to be paired with chicken, turkey, veal, pork and shellfish. Trebbiano/Chardonnay produces a wine that is richly flavourful and pleasantly dry and smooth, with notes of pears and apples. Verdicchio is said to be the white grape with the best character in all the Marche region of Italy. Verdicchio has herbal aromas and a very nice bouquet. Also, Verdicchio has many flavours of nuts, lemons and pears. For a crisp clean finish, Verdicchio is best enjoyed when it is served young. Optional: In Store Winemaking Price $92.00 + tax. Traditional Food Pairings: Verdicchio, known to go well with food, can be enjoyed with many dishes such as pasta in seafood sauce, risotto and veal. A blend between Sémillon and Chardonnay, Vintage White is medium-straw in colour and has hints of citrus and melon flavours, ending with a clean aftertaste. Also known as Chablis, Vintage White produces full-bodied wines that are great-natured. Finally, Vintage White is known as the perfect wedding wine or the ultimate pool-side companion. Optional: In Store Winemaking Price $84.00 + tax. Traditional Food Pairings: Vintage White can be easily enjoyed with seafood, chicken dishes or even Chinese food. White Merlot is famous for creating a medium-pink, rosé style of wine. Not just any typical blush, White Merlot has strawberry aromas and flavours that are enhanced by a crisp, dry finish. Traditional Food Pairings: White Merlot is known to generally pair itself with beef teriyaki, melon, fruit salads and cheese. Considered as a blush or a rosé type of wine, White Zinfandel is pale in colour and has flavours of vanilla, strawberry, raspberry, cherry and a delightful hint of citrus. Generally known as a sweet wine, White Zinfandel can also produce certain dry wines. For a better taste, it is best to consume White Zinfandel while it is young. Wine Conditioner Optional. Traditional Food Pairings: A food friendly wine, White Zinfandel can pair itself with a variety of different foods such as cannelloni with ricotta, egg dishes, pasta with garlic, pizza, salad, salmon and light seafood.